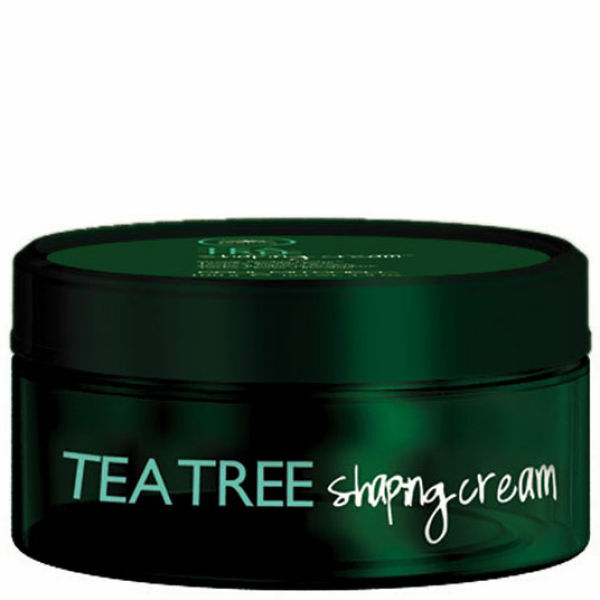 Treat your hair to a makeover with the Paul Mitchell Tea Tree Shaping Cream. This cream is uniquely designed to add texture and shine to your hair, helping you look your best for any occasion. Thanks to mesh-like fibres, these creams help define hair as well as leaving it clean. Botanical ingredients leave your hair smelling great. Melaleuca alternifolia oil, a non-toxic disinfectant, helps heal your hair. Ozokerite and VP/VA copolymer act as styling agents in these shaping creams to help you work and shape your hair with ease. Directions for use: To use this Paul Mitchell cream apply a small amount to damp or dry hair. A clean feeling, none greasy, medium hold cream that smells great. Best suited for short to medium length hair. Excellent if not a little small! I've been using this product since my hairdresser introduced me to it a couple of years ago. The price here is cheaper however the size of the pot is 85 grams not 100 grams like the one in the hairdressers. Its a small gripe as a little goes a long way and the product truly is excellent. It doesn't leave your hair feeling greasy in slightest and its easy to wash out - certainly the best product I've used by a mile. 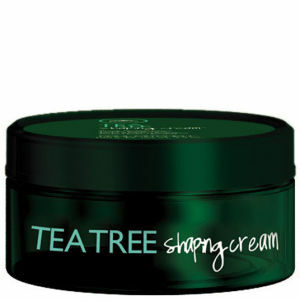 Paul Mitchell's Tea Tree Shaping Cream is one great product! Paul Mitchell's Tea Tree Shaping Cream is one of the best hair grooming products around. I have been using this for the last 5 years, and it keeps my hair looking great even at the end of the work day. I keep my hair short for easy manageability. The product smells nice (although I couldn't detect the tea tree scent) every time I open it, and shapes my hair to the desired style easily. I find that it works better on dry hair than damp. I also like the fact my hair looks matte and natural hours after, even on warm and humid days. Just a little product is required for every application which means one can lasts at least three months for me. It's also easy to wash out with a deep cleansing shampoo. All in all, a fuss-free product that works well for guys with short hair.